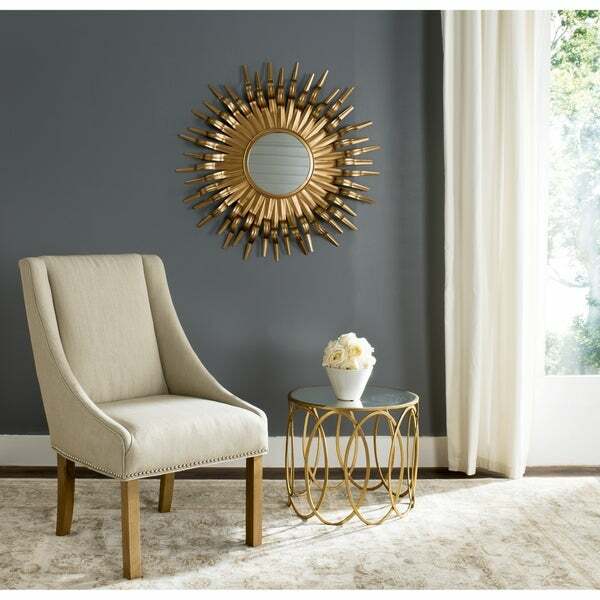 Tones of vibrant golds infuse the Sun mirror with a lively energy.The carefully wrought iron rays, some with angled tips, of this37-inch wide mirror add yet another layer of dimension to this dramatic statement piece. This piece made the room. It was the crown jewel that finished off the decor. The ends are a little sharp and you have to be very ginger with it but once hung, it's perfect. Fantastic value for the price too. We liked this mirror but we don't quite love it. 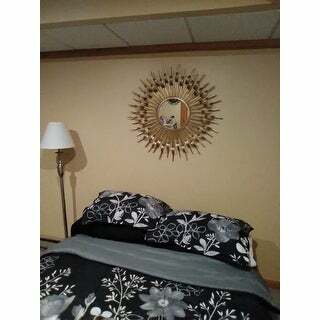 It's a nice, sturdy and big mirror at 36" but was very easy to hang up. It arrived rather promptly and was well packaged. We appreciated the fact that the rays emanating from the center of the mirror came already pre-bent (some forward and others backwards) and we only had to bend a few of the rays further forward to give the mirror the desired shadow effect. Strangely, we only realized that the dark shadows around the mirror, as shown online, was a direct result of the light hitting the curves and different bends of the sun rays. 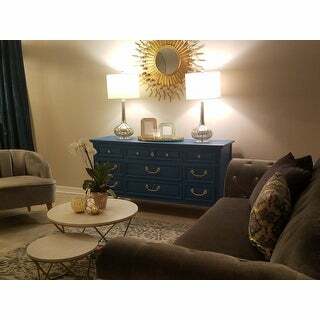 It was quite a surprise for us because we thought the darker shade "came with the mirror" until we received the item. That being said, the gold color and shadows show up beautifully in photographs but just doesn't seem to be as impressive in real life. We also wished the gold paint had been more evenly applied with less bubbles and imperfections. The surfaces were rather rough as if paint was left to splatter and dry in some areas and every indentations, join marks and pock marks showed up too clearly even from a distance. Overall, we still liked the mirror but it didn't quite meet our high expectations. We'd recommend it for an area where these imperfections won't show up too clearly and give it 4.1/5.0. The sun mirror was delivered within 2 days of my order (regular shipping). This was a pleasant surprise! I should mention it was the first order from Overstock I have received. It was packaged securely and free from external damage. I had read the dimensions but upon opening I was still amazed at how wonderfully large and well made it was. It is being placed as a center piece for my wall and is perfect. I would have given the product 5 stars. However, upon packing apparently the points to the sunbursts bent in several places. I was able to bend them into place but it is an indication that the mirror has flimsy details to it. 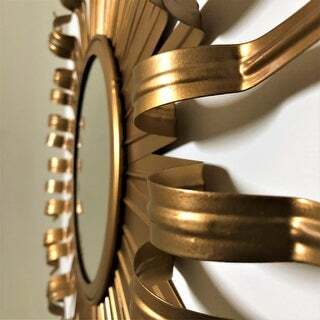 Consider this when selecting what is ultimately a beautifully crafted mirror in terms of metal, paint, etc. 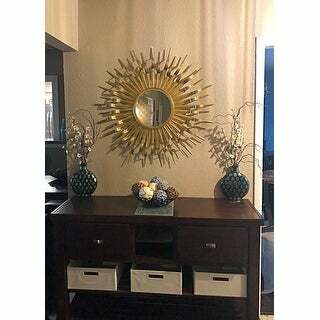 Loved the uniqueness of this gold sunburst mirror. It looks beautiful over our bed. 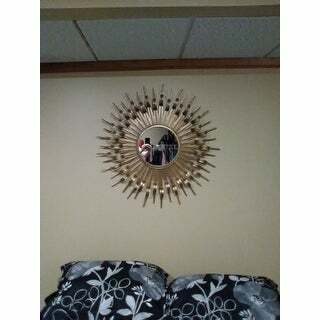 This mirror is a great addition to my newly decorated living room. It adds a pop of deep gold to contrast against my grey walls. I thought I might need to also add a sconce on each side, but decided it was enough on its own. Absolutely beautiful. It is large but not overly large. 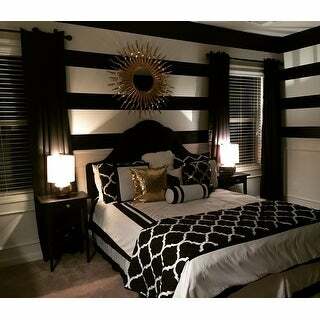 The gold isn't a bright or tacky color, its more of a antique darker gold with some black hues. Another great statement piece. 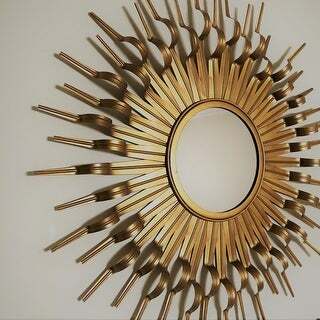 Beautiful mirror, the only thing is mirror is smaller then the gold sunburst. I also wished it was packed better, mine was a bit damaged when I opened the box. Thanks! 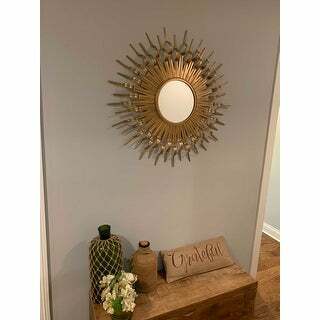 Shipping was EXTREMELY fast and the mirror is gorgeous for my front entrance hallway. These are really beautiful mirrors. They were packaged well and arrived promptly. They were a stunning addition to a focal wall in a client’s dining room. 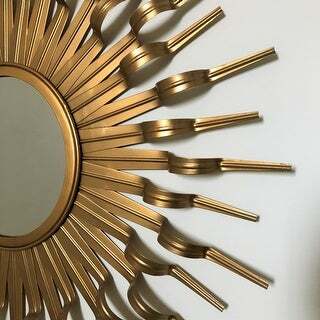 I had to return this mirror as one of the sunburst was broken. it really looks not well made. It's not metal but more of plastic and the color didn't do it for me. Great mirror. Much lighter than it looks! Brightens up my dining area. Lovely piece! Happy with the purchase for the price. Beautiful nicely made mirror. I’m going to purchase another one to go on my foyer wall. This is an absolute beauty. I love it. Looks better in person. Beautiful gold. I love the way my morrow looks. 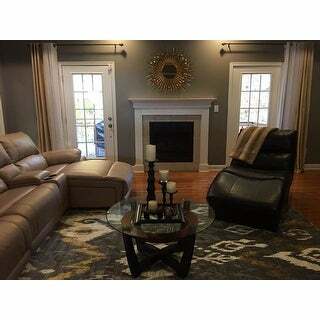 I did half my house from Overstock! Super pleased with all my orders. Oh my goodness, we love this mirror. Its bigger than I thought and very gold. A darker golden color. Love that its metal. Kind of hard to hang. Adds a touch of class to the back patio area. Were going for tropical glamour. I think you will be delighted with it. "How much does it weigh."